In the early 1970’s, Dr. Napolean Alcerro, had a vision to help those living in poverty in his country and provide a source for basic medical care. The third Vice President of Honduras, Napolean Alcerro, secured an official invitation to bring an Medical Ministry International medical brigade to Honduras. Since 2004, Gustavo & Mildred Elicegui have served as Project Directors in Honduras. Mildred is a Family Practice Physician and serves on our project teams. They live in San Pedro Sula and have two boys. Daniel and Ruth Castro provided leadership for over 20 years for Medical Ministry International's one and two week projects. Currently, the Castros lead the Quimistan project. Read more about MMI Honduras on their Facebook page! 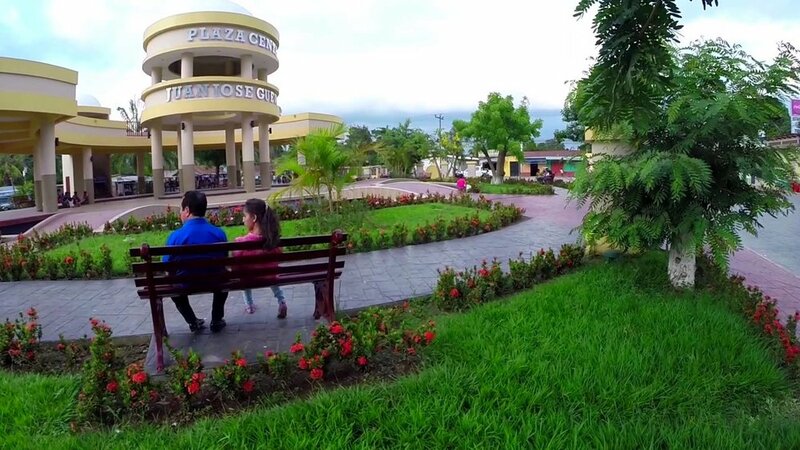 Corquín is a municipality in the Honduran department of Copán. The population of Corquín is approximately 17,147. Copán is well known for its tobacco and fine cigars. * Project Description: Teams stay in a camp center on this project. Each day, a mobile clinic with a triage area, consultation rooms, dental area, eye examination area, and health education area is set up. The conditions of the facilities where we set up clinic are very simple and basic. Many of the patients that come do not receive regular medical and dental care, so all kinds of health problems can be seen. Common complaints include gastritis, arthritis pain, lower back pain, skin problems, and dehydration. Corquín's climate is classified as tropical. The summers have a good deal of rainfall, while the winters have very little. Erandique is one of the several municipalities of the Lempira department of Honduras. Erandique is surrounded by pine forests with some pockets of Sweetgum trees. Many of the pine forests are still used as a source of biofuel for the local population. The terrain is rugged, characterised by steep hills. The coffee plantations have great importance to Erandique, and there is also agricultural production of corn and beans, as well as some vegetable crops and small herds of cattle. Erandique is one of the most economically poor places in Honduras. * Project Description: The clinic will be held in the Local Communal Center of Erandique Lempira. The MMI Honduras team and their local partners are working hard to have this mission well run and organized. Each day, a mobile clinic with a triage area, consultation rooms, dental area, eye examination area, a Pharmacy, and health education area is set up. The conditions of the facilities where we set up clinic are very simple and basic. Many of the patients that come do not receive regular medical and dental care, so all kinds of health problems can be seen. Common complaints include gastritis, arthritis pain, lower back pain, skin problems, and dehydration. The weather is cool during the rainy season (May–October), and warmer in the dry season. Florida, Copán is a small rural town (population about 5,500) located in the west side of the Honduras. MMI has a partnership with the local Church and City hall. Tobacco, corn, and cattle are the main source of income for the farmers in Florida. Florida is about 2 ½ hours from San Pedro Sula. * Project Description: MMI and our Honduras Director work in partnership with the local city hall and the local church in Florida. Each day, a mobile clinic with a triage area, consultation rooms, dental area, eye examination area, a Pharmacy, and health education area is set up. The conditions of the facilities where we set up clinic are very simple and basic. Many of the patients that come do not receive regular medical and dental care, so all kinds of health problems can be seen. Common complaints include gastritis, arthritis pain, lower back pain, skin problems, and dehydration. The climate is hot and humid. La Ceiba is a port city in the department of Atlántida on the northern coast of Honduras. The population of 200,000 are largely involved in commerce and agriculture, specifically pineapple. Eco-tourism is also extremely popular in this city, and highlights include: mountain treks, river rafting, and Caribbean beaches. La Ceiba is home to members of the Garifuna minority in Honduras, who are decendents of immigrants. La Ceiba was named after a giant ceiba tree which grew near the old dock, which itself finally fell into the sea in late 2007. The local population originally referred to the large tree as "the ladder God used when he came down from Heaven to visit Earth". * Project Description: Teams usually stay in a hotel on these projects and work in surrounding villages. The projects focus on medical, dental, optometry, and physiotherapy. The conditions of the facilities where we set up clinic are very simple and basic. Many of the patients that come do not receive regular medical and dental care, so all kinds of health problems can be seen. Common complaints include gastritis, arthritis pain, lower back pain, skin problems, and dehydration. Large amounts of rainfall, especially during October - February. Omoa is municipality and small town located along the Northwest Caribbean coast of Honduras. The population is approximately 45,000. * Project Description: These projects provide mainly Dental, Preventive, Primary, and Optical care in the villages surrounding Omoa. Omoa's climate is tropical. 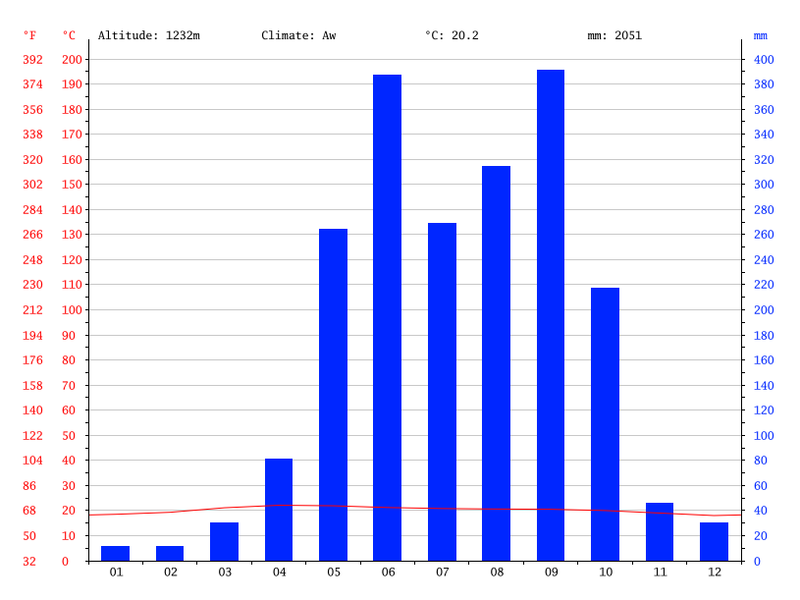 The average monthly temperatures are very hot and humid. Quimistán is located in Santa Bárbara and is one of the 18 departments into which Honduras is divided. Quimistán has 51,160 (2015) inhabitants which represent 13.85 % of the population of Santa Bárbara. * Project Description: These projects provide care to several villages surrounding Quimistán, Santa Barbara, and provide mainly medical care, preventive and primary care, dental care, and optometry. On these projects, teams stay in a Christian camp and work in different surrounding villages each day. The average monthly temperature in June is a high of 33 °C (91°F) and a low of 24°C (75°F) The weather will be warm but in the evenings cooling off a bit approximately 75- 80 °F (evening) 85-95 °F (daytime). San Luis is a municipality in the Honduran department of Santa Bárbara. San Luis has a population of about 25,000. Its economy is based strongly around coffee farming. San Luis is in a region with many pine-covered hills. * Project Description: These projects provide services in a clinic in San Luis, Santa Bárbara, and provide mainly Medical care, Preventive and Primary care, and Dental care. Teams usually stay in a local hotel. The average November temperature ranges from a high of 27 °C (81°F) to a low of 16°C (61°F). Warm but in the evenings cooling off a bit. Tela is a coastal city 94 kilometers from San Pedro Sula on the Caribbean sea. It is located in the department of Atlantida. Tela has a population of about 99,294. * Project Description: Teams work in the surrounding villages of Tela to provide mainly Medical care, Preventive and Primary care, and Dental care. Travelers must present a passport, which must be valid for at least six months beyond the date of expected departure. Departure tax of $40 USD is required upon exit for all international flights, but this is often included in your tickets. Please ensure you have this cash with you just in case. • Airport: Ramon Villeda Morales International Airport (SAP), Honduras. • Voltage: 110V & 120V. The money in Honduras is called the Honduran Lempira (HNL). MMI staff will help you exchange money. All major credit cards are accepted - Visa and MasterCard the most widely accepted (make sure to call your credit card company and let them know that you’ll be traveling internationally). Traveler’s cheques are not easily cashed. You must bring US dollars in good condition. Torn, stamped or old bills will not be exchanged. $100 bills older than 2006 are also not accepted. Centro Cristiano de Servicios Humanitarios de Honduras (CCSHH) is located in El Progreso, Honduras. Established in 1997 by the late Dr. Douglas Perry and his wife Maxine in collaboration with Rev Daniel and Ruth Castro, Directors of Sociedad Medica Cristiana and funded by Medical Ministry International and the Church of the Palms in Sarasota, Florida. Melvin Tejada serves as the Hospital Director. In June 2017, the CCSHH Eye Clinic developed a pediatric ophthalmic unit. The area serves more than 3,000 children per year with various visual pathologies. The pediatric unit has two examination rooms adapted especially for children, as well as a waiting room which is a growing project. With this new unit, CCSHH now has the opportunity to host visiting pediatric ophthalmologists that would like to be involved with CCSHH. This ongoing clinic treats approximately 12,000 patients a year. CCSHH celebrates their 20 year anniversary in 2017. 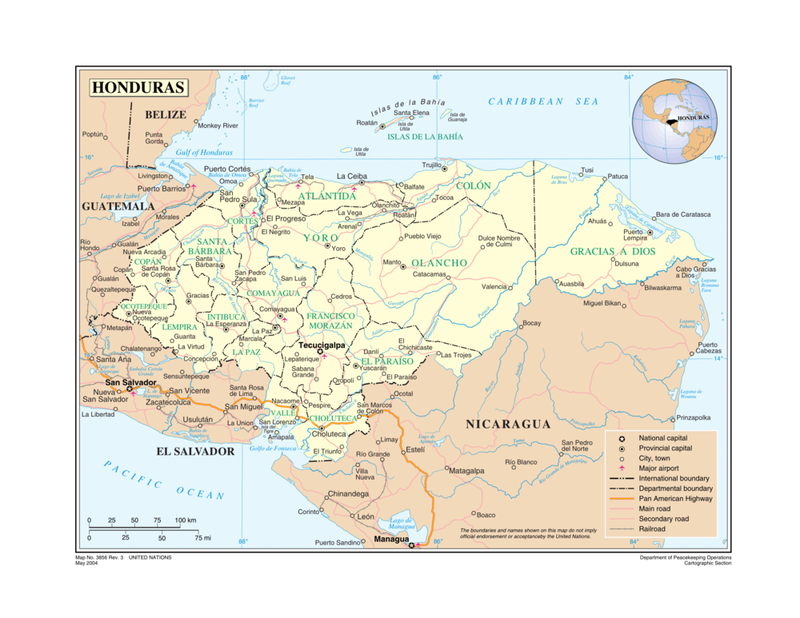 Honduras, officially the Republic of Honduras, is a republic in Central America. Honduras has a population of approximately 8 million people with primarily Spanish ancestry, alongside small amounts of Garifuna and Mesoamerican Mayan descendants. The economy has one of the highest growth rates in Latin America, but wealth polarization and unemployment are also high. According to the Human Development Index, Honduras is the sixth least-developed country, and 50% of its population live below the poverty line. Hurricane Mitch in 1998, floods in 2008, and the constitutional crisis in 2009 has meant that infrastructure and development has suffered. However, Honduras is emerging on the global stage as a textile exporter and tourist destination. Honduras is particularly known for its variety of climate zones: interior mountains, Carribbean and Pacific coasts, and Carribbean islands. The region is considered a biodiversity hotspot because of the many plant and animal species found in the reserves, rain forests, cloud forests, mangroves, savannas, and mountain ranges. Roátan in the Bay Islands, as home to the world’s second-largest coral reef, is particularly valued for it pristine and inexpensive experience. Honduras is also a historical hot-spot for Mayan ruins, and known for its love of football.